OSWEGO, NY- The H. Lee White Marine Museum is gearing up for an exciting season full of events, new exhibits and even the first Lake Ontario CNY Lighthouse Challenge. The museum will open its vessels on May 17 in celebration of the new season. The seasonal opening of the vessels starts May 17 at the H. Lee White Marine Museum. 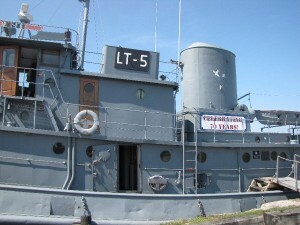 The LT-5 is a National Historic Landmark WWII Tugboat located at the museum and can be toured for free this opening weekend. There will be free admission to explore the museum as well as tour the historic vessels, the LT-5 and Derrick Boat 8. The H. Lee White Marine Museum is located at Oswego’s West First Street Pier. In conjunction with the opening of the vessels on May 17, the museum will also feature a new exhibit by Don Gillespie, a local maritime artist. The exhibit called “Kindred Spirits, and other relative mysteries” celebrates Oswego’s rich art heritage and will feature original paintings by James G. Tyler, born in Oswego in 1855 who became one of the most notable marine artists of his time, and Charles H. Grant, born in 1886 who studied under the great M.F.H. De Haas at the National Academy in New York. Gillespie will also display his version of “At the Mercy of Neptune” as well as other marine paintings. He said his hope with this exhibit is to help educate Oswegonians about this rich art heritage and possibly help shed light upon a couple mysteries including what may have happened to W. R. Shayes, who is his great-grandfather. Museum events later in the summer include a D-Day remembrance celebration on June 7. 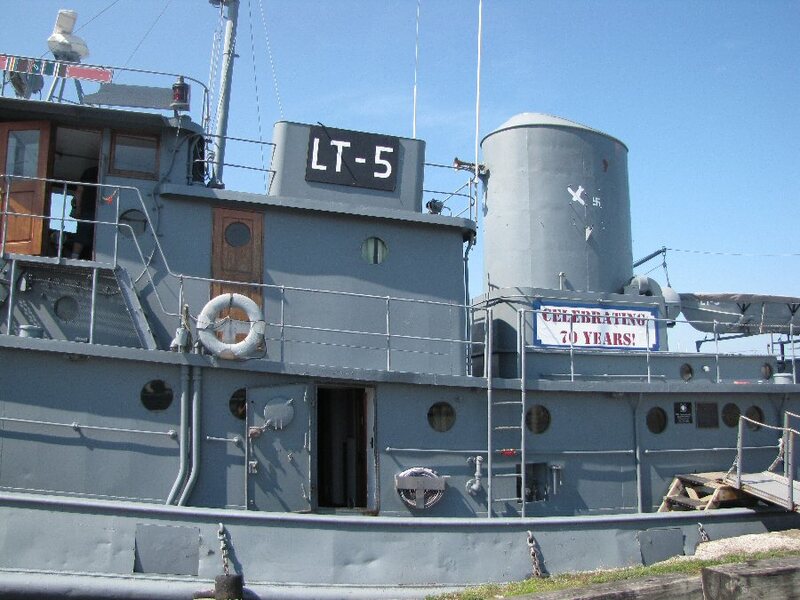 The D-Day remembrance will honor the 70th anniversary by having programs throughout the day including history lectures, WWII re-enactments as well as a new exhibit illustrating the crucial role that supply ships, like the LT-5, played in the Normandy Invasion. June 21 and 22 mark the first ever Lake Ontario CNY Lighthouse Challenge. This event lets participants explore the lighthouses of Central New York while celebrating the 80th anniversary of Oswego’s lighthouse. Participants start their journey at the museum on June 21 and begin touring participating lighthouses along the Coast and Seaway Trail collecting souvenirs along the way. For more information on the opening of the vessels as well as a complete list of summer events including Kids Pirate Day and Tales of the Haunted Harbor, visit www.hleewhitemarinemuseum.com or call (315) 342-0480.